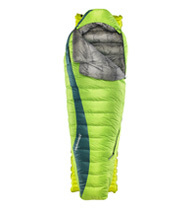 Have a sleeping bag that needs to be retired? Gear Up Give Back. Over the past couple of years, the Outdoor Industry Association has reminded the companies and individuals that, “Together We Are A Force”. This campaign shares stories of how the members of the industry have come together to have a positive impact on political policy, outdoor participation and sustainability. A theme amongst all of these projects is the potential for good when we all combine our strengths to work towards a bigger common goal. Individually, we might not have the skills or resources to overcome certain challenges, but, together we are a force. 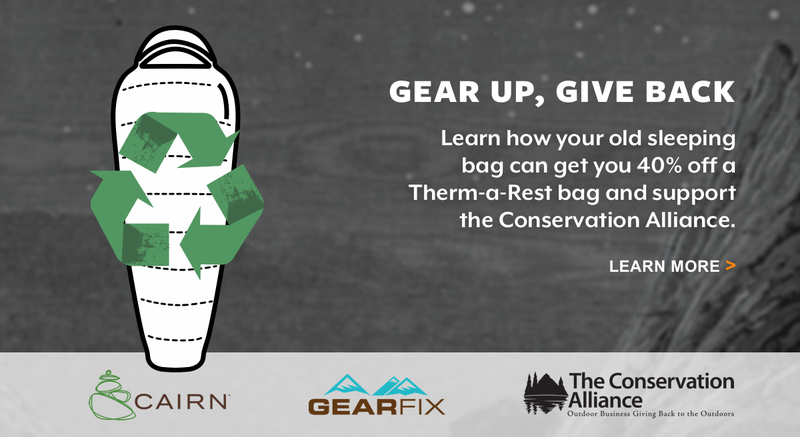 This year, we are partnering with our good friends at Cairn and Gear Fix to do some good with retired gear. Cairn, a subscription service for gear enthusiasts and outdoor adventurists, started the program to give people an avenue to donate old gear to benefit the mission of our longtime partners at The Conservation Alliance to benefit the preservation of wild spaces. This means that you can turn that old pair of hiking boots or stove you rarely use into support for the backcountry areas and natural spaces you love. 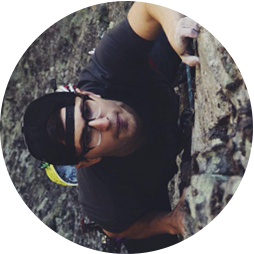 When we saw Cairn and Gear Aid launch this program, we knew we wanted to get involved. For our partnership, we are asking campers and backpackers to dive into their gear closets and rummage through garages for sleeping bags that are no longer getting used. 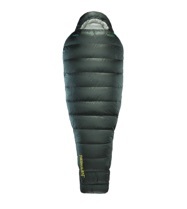 If you send in your old sleeping bag, the repair experts at Gear Fix will patch it up like new to be resold. The bag is then sold and all the proceeds go directly to the projects of The Conservation Alliance. Now is where Therm-a-Rest comes in. 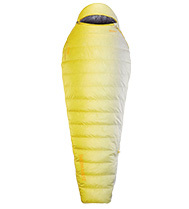 We know how nostalgic and special camp gear can be, especially sleeping bags. All the adventures you’ve shared together. The perma-campfire scent of the nylon. The coffee stain that kinda looks like a mountain range. 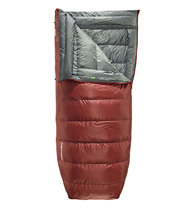 To help soften the blow of losing your longtime bag, we’re handing out 40% discounts on a new Therm-a-Rest sleeping bag to help you get a better night’s sleep under the stars. If you are interested in participating in the program, head to the program’s website and start gearing up and giving back.